Some national 'holidays' are just too good not to miss, and today is one of them! Happy National Pina Colada day! Whoop! We're thankful it's fallen on Tuesday (arguably the hardest day of the week). So, why not go home, grab the blender, sit outside in the glorious weather and sip on a homemade Pina Colada or Virgin Pina Colada. Alternative to that, go to your fav drink spot and enjoy one! 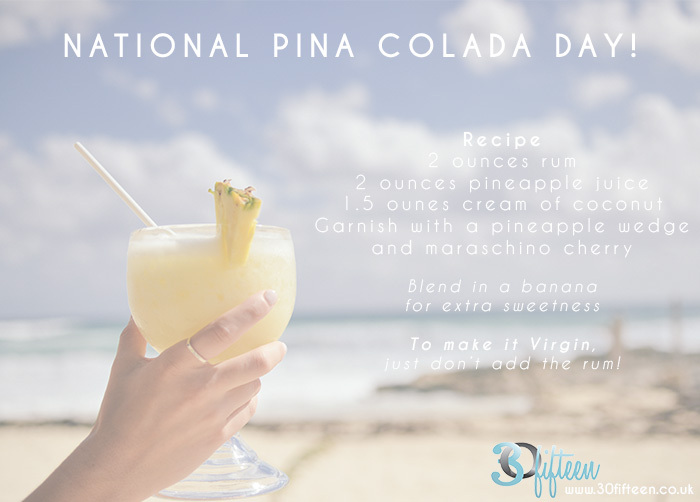 Tag #nationalpinacoladaday on your posts to join the fun!